Definitions – “BWB” means Bestwest Building Pty Ltd ACN 143 759 611. 1. The client, upon making the booking for a Property Inspection or other Building Report, acknowledges having been given the opportunity to read our Terms & Conditions of Service. The client is deemed to have accepted BWB’s Terms & Conditions of Service upon the Inspector arriving at the property or site. 2. The report is subject to BWB’s Terms and Conditions of Service, which forms the basis of the agreement between BWB and the client. A copy is available on BWB’s web site, provided with each report and available separately upon request. 3. The report is valid solely for the client as detailed on the front of the report and is not transferable to a third party without the written authorization of BWB. 4. Please note that written reports will take precedence over any verbal comments or advice given. 5. Unless otherwise agreed in writing, a credit card authorization for the full fee is required at the time of booking. Only a booking fee of $100 will be processed on receiving the booking. The balance will be processed on delivery of the report. In the event of booking cancellation a fee up to $100 may apply unless a minimum of 72 hours’ notice is given. If a credit card authorization fails, payment is due forthwith. 6. If credit is provided, payment is due within 14 days of BWB issuing a valid tax invoice. 7. If the client pays by cheque, the cheque shall not discharge the client’s obligation to pay until the cheque clears. (c) fully indemnify BWB for any expenses incurred by BWB in recovering any overdue amounts, e.g. debt recovery or legal expenses. 9. The report is not a certificate that the property complies within the requirements of any Act, regulation, ordinance, local law or by-law, and is not a warranty against problems developing with the building in the future. The report does not include the identification of unauthorized building work or of work not compliant with building regulations. 10. It is not the role of the inspector to explain title and ownership matters and to deal with matters concerning easements, covenants, restrictions, zoning certificates and all other law-related matters. 11. The inspection shall comprise of a visual assessment of the property to identify major defects, minor defects and safety hazards and to form an opinion regarding the general condition of the property at the time of inspection. 12. Defect Description and Significance Summary. (a) Satisfactory – the condition of the property or part therefore is such that would be expected of a comparison building of similar age and similar type which has been adequately maintained over the life of the building and is in reasonable condition. For example a 10-year-old property may be in a satisfactory condition for its age just as a new property may be considered to be in a satisfactory condition when considering the standard expected for the age of the property. (b) Major Defects – are defects of sufficient magnitude where rectification has to be carried out in order to avoid unsafe conditions, loss of utility or further deterioration of the property. (c) Minor Defects – are common to most properties and may include minor blemishes, corrosion, cracking, weathering, general deterioration, unevenness, and physical damage to materials and finishes, such as de-silvering of mirrors. It is expected that defects of this type would be rectified as part of normal ongoing property maintenance. It is neither intended nor expected that the report will include details of specific minor defects nor all minor defects, however, a poorly maintained residence may have more and extensive minor defects than a reasonably maintained property that is otherwise similar. It follows that it may be necessary for a purchaser to allocate substantial resources to return a poorly maintained property to a reasonable standard for occupancy. For this reason the report may include a general assessment of the general incidence of minor defects in the subject residence compared with otherwise similar properties. (d) Safety Hazard – is a defect that in the opinion of the inspector is or may constitute a potentially serious safety hazard. (e) Further Investigation – is a defect or possible defect that, in the opinion of the inspector, requires further investigation by an appropriate specialist. 13. 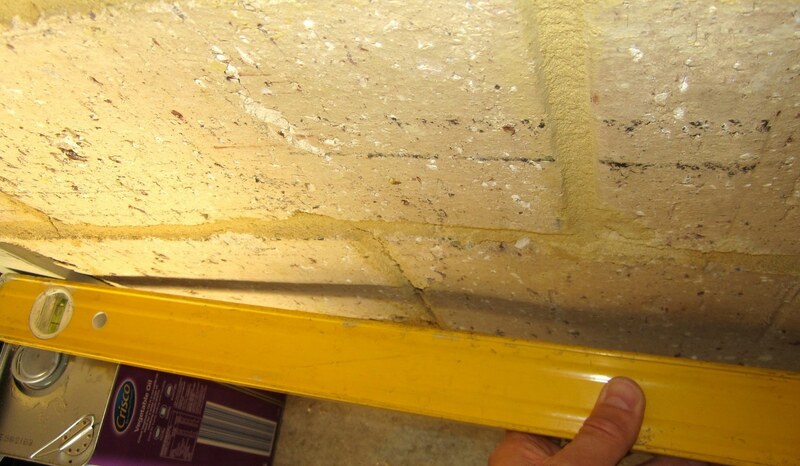 Description of typical damage and required repair for Cracking in Masonry. e) Extensive repair work involving breaking out and replacing sections of walls, especially over doors and windows. Doorframes distort. 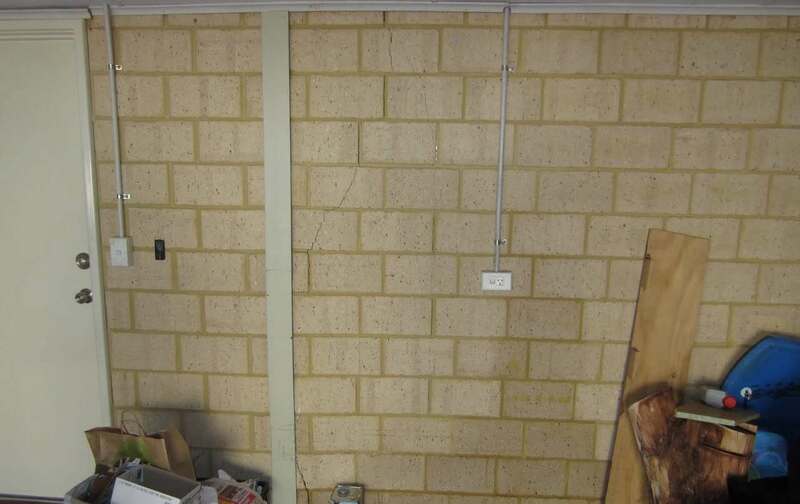 Walls lean or bulge noticeably, some loss of bearing in beams. Service pipes disrupted. Width more than 15.0mm but less than 25.0mm (but also depends on the number of cracks). 14. Please note the criteria against which the subject building will be assessed. In the report the basis for comparison is a building of similar age and similar type to the subject building and which is in reasonable condition, having been adequately maintained over the life of the building. It follows that the subject building may not comply with Australian Standards, building regulations and the like that are applicable at the time of inspection. 15. The inspection includes an appraisal by a competent inspector to assess the condition of the building. As it involves a subjective assessment different inspectors or the same inspector on a different occasion may reach different conclusions. 16. The inspection is not intended to include an assessment of all of the building elements and or materials in the property. (c) The exterior of the building. (d) The sub-floor space (access permitting). (e) The roof exterior (access permitting). Note: Reasonable access does not include the cutting of access holes or the removal of screws and bolts or any other fastenings or sealants to access covers. Subfloor areas sprayed with chemicals should not be inspected unless it is safe to do so. (c) areas effected during inclement weather, will be excluded from the inspection/report (at BWB’s sole discretion) and therefore no liability will be accepted on account of failure to report on any problems which may exist in such area(s) whether specified or not. (d) hidden or obscured compartments or rooms. 19. No inspection has been made for the presence of or absence of mould. If during the course of the inspection mould is noticed it may be noted in the report. If you are concerned about the potential health risks, which can arise from mould you should seek advice from a relevant independent expert. 20. Please note our reports do not give or imply any warranty or guarantee and are merely an opinion of the inspected property. 21. 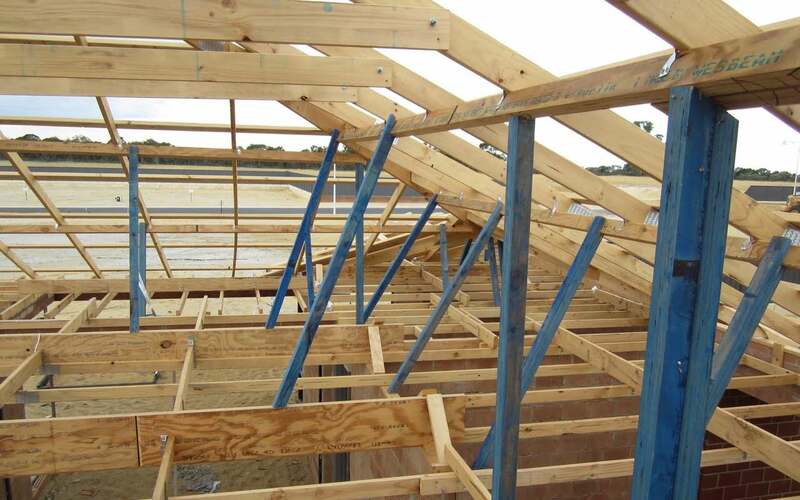 A BWB Building Consultant or a Licensed Builder carries out all Inspections. The information given in this document is based on the BWB’s Building experience and its knowledge of the current Australian Building Standards and Codes. However BWB does not purport to cover all provisions of any Building Acts, Codes, Regulations or By-laws. 23. Australian Standards AS 4349.1 – 2007 excludes provision of costing. Therefore any opinion on cost of repair or maintenance provided verbally must be taken as a general and approximate guide and should not be relied upon. Actual costs can and often vary depending on the quality of materials used, standard of work, the availability of tradesman and other influences from 3rd parties of which BWB have no control. Independent quotes should be obtained to fully establish the extent of costs of any work required. 24. In accordance with AS4349.1 2007 a visual assessment will be carried out to identify any broken or cracked glass. However please note that the inspection does not comment on the suitability of the glassed used. The Building Code of Australia now requires safety glass to be used in doors, windows and throughout the home where in close proximity to the floor/ground. However it should be noted that houses built prior to the 1980’s may not comply with the current requirements. For safety purposes we recommend this is reviewed and glass. 25. Please note in accordance with the AS4349.1 2007, although it is not a requirement to test the operation of fireplaces and solid fuel heaters (including chimneys and flues) we recommend that these are inspected by a professional chimney sweep before lighting and periodically reviewed at least once a year thereafter. 26. BWB reports are not pest inspections and we recommend a specialist Termite Inspection Company carries out an Inspection. 27. The report remains the property of BWB until paid for in full. • that our services will be fit for purpose. 29. If there is a major failure with the service we provide, you may be able to get a full refund. • within a reasonable time. • something that is beyond our control and that happened after we provided the services to you. 32. We also may not have to provide you with a remedy if you leave it too long to complain. Please notify BWB within a month of receiving your report. 33. You are not entitled to a refund if you simply change your mind. 34. In many cases, the actual structural elements of a building will be obscured by finishes and other non-structural building elements, and the inspector may be unable to assess directly the state of the structural member. In such cases, the inspector has to infer the performance of the structure by observing the effect of the structure on the non- structural building elements. For example, the inspector normally will be unable to inspect the footings of a house as they are buried beneath the ground; however, cracking in non-structural masonry walls above the ground may indicate that a defect exists within the footing system. 36. Our inspections are generally carried out in accordance with AS4349.0 and AS4349.1-2007. Where the inspection is for a Construction Progress or Practical Completion Inspection it is expected that the builder will rectify the defects listed without dispute or referral to a third party for arbitration. Should these defects be disputed, a more detailed report may be necessary for submission to the the Building Commission, SAT or the Court System. 37. During a Construction Progress or Practical Completion Inspection we will undertake a limited review of the overall room size dimensions on the main habitable rooms and garage (excluding, but not limited to the kitchen, bathrooms, WC and laundry) to verify that the size of the room is within tolerance provided that building plans have been received at least one working day before the inspection. 5. Unless otherwise agreed in writing, a credit card authorization for the full fee is required at the time of booking. Only a booking fee of $75 will be processed on receiving the booking. The balance will be processed on delivery of the report. In the event of booking cancellation a fee up to $75 may apply unless a minimum of 72 hours’ notice is given. If a credit card authorization fails, payment is due forthwith. Any person and or entity who relies upon the contents of this report does so acknowledging that the following clauses which define the Scope and Limitations of the inspection form an integral part of the report. 9. THIS IS A VISUAL INSPECTION ONLY in accord with the requirements of AS 4349.3 Inspection of buildings Part 3: Timber Pest Inspections. 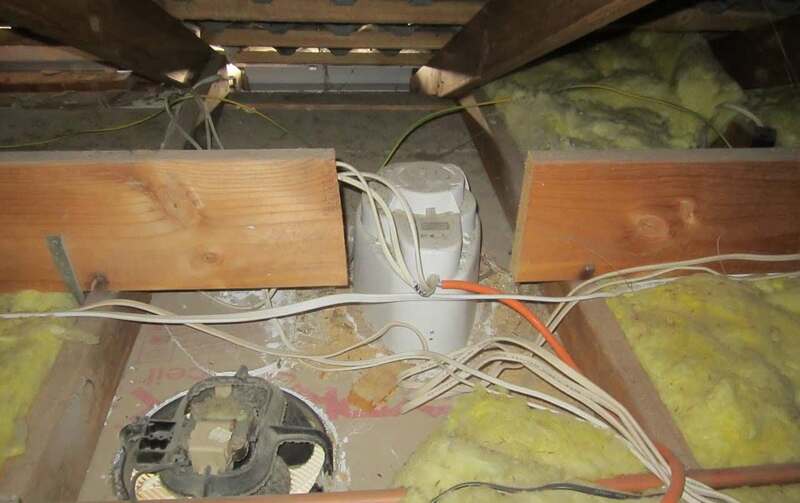 Visual inspection was limited to those areas and sections of the property to which reasonable access (See Definition) was both available and permitted on the date of Inspection. The inspection DID NOT include breaking apart, dismantling, removing or moving objects including, but not limited to, foliage, mouldings, roof insulation/sisalation, floor or wall coverings, sidings, ceilings, floors, furnishings, appliances or personal possessions. The inspector CANNOT see inside walls, between floors, inside skillion roofing, inside the eaves, behind stored goods in cupboards, in other areas that are concealed or obstructed. The inspector DID NOT dig, gouge, force or perform any other invasive procedures. An invasive inspection will not be performed unless a separate contract is entered into. In an occupied property it must be understood that furnishings or household items may be concealing evidence of Timber Pests which may only be revealed when the items are moved or removed. In the case of Strata type properties only the interior of the unit is inspected. 10. 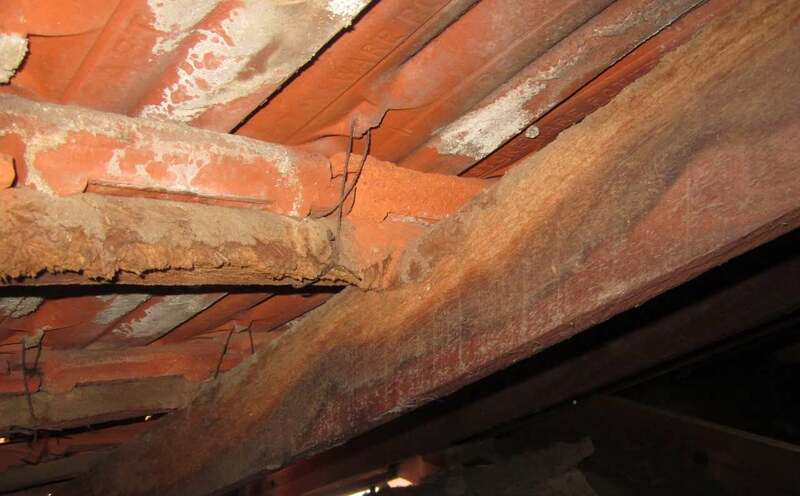 SCOPE OF REPORT: This Report is confined to reporting on the discovery, or non discovery, of infestation and/or damage caused by subterranean and damp wood termites (white ants), borers of seasoned timber and wood decay fungi (hereinafter referred to as “Timber Pests”), present on the date of the Inspection. The Inspection did not cover any other pests and this Report does not comment on them. Dry wood termites (Family: KALOTERMITIDAE) and European House Borer (Hylotrupes bujulus Linnaeus) were excluded from the Inspection, but have been reported on if, in the course of the Inspection, any visual evidence of infestation happened to be found. If Cryptotermesbrevis(West Indian Dry Wood Termite) or Hylotrupesbujulus Linnaeus are discovered we are required by law to notify Government Authorities. If reported a special purpose report may be necessary. 11. LIMITATIONS: Nothing contained in the Report implies that any inaccessible or partly inaccessible areas or sections of the property being inspected by the Inspector on the date of the Inspection were not, or have not been, infested by timber pests. Accordingly this Report is not a guarantee that an infestation and/or damage does not exist in any inaccessible or partly inaccessible areas or sections of the property. Nor is it a guarantee that a future infestation of Timber Pests will not occur or be found. 12. DETERMINING EXTENT OF DAMAGE: The Report is NOT a structural damage Report. We claim no expertise in building and any inexpert opinion we give on timber damage CANNOT be relied upon. The Report will not state the full extent of any timber pest damage. The Report will state timber damage found as ‘slight’, `moderate’, `moderate to extensive? or extensive?. This information is not the opinion of an expert. If any evidence of Timber Pest activity and/or damage resulting from Timber Pest activity is reported either in the structure(s) or the grounds of the property, then You must assume that there may be concealed structural damage within the building(s). 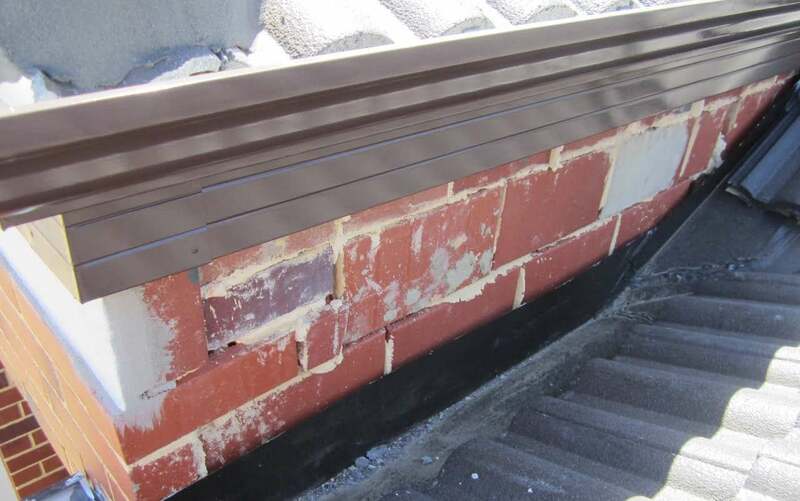 This concealed damage may only be found when wall linings, cladding or insulation are removed to reveal previously concealed timbers. An invasive Timber Pest Inspection (for which a separate contract is required) is strongly recommended and You should arrange for a qualified person such as a Builder, Engineer, or Architect to carry out a structural inspection and to determine the full extent of the damage and the extent of repairs that may be required. You agree that neither we nor the individual conducting the Inspection is responsible or liable for the repair of any damage whether disclosed by the report or not. 13. POSSIBLE HIDDEN DAMAGE. If Timber Pest activity and/or damage is found, within the Structures OR the grounds of the property, then damage may exist in concealed areas, eg framing timbers. An INVASIVE INSPECTION is strongly recommended in this case. 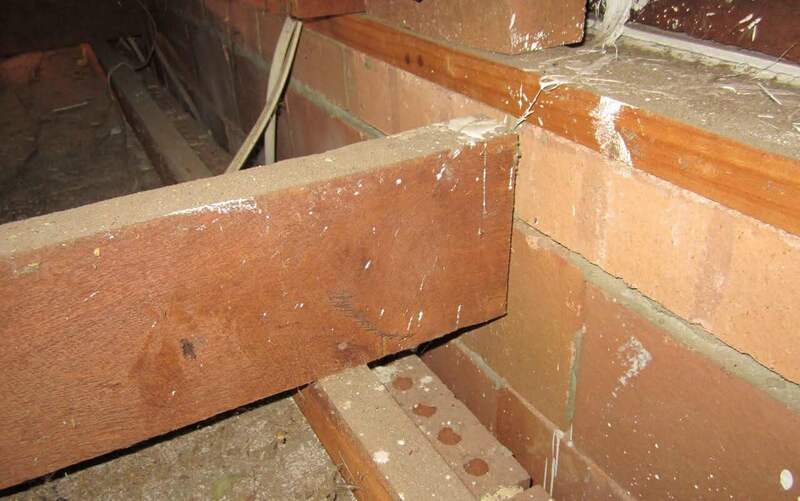 Damage may only be found when wall linings, cladding or insulation are removed to reveal previously concealed timbers. 14. MOULD: Mildew and non wood decay fungi is commonly known as Mould and is not considered a Timber Pest. However, Mould and their spores may cause health problems or allergic reactions such as asthma and dermatitis in some people. No Inspection for Mould was carried out at the property and no report on the presence or absence of Mould is provided. Should Any evidence of Mould happen to be noticed during the inspection, it will be noted in the Other Information (5.11) section of this report. If Mould is noted as present within the property and you are concerned as to the possible health risk resulting from its presence then you should seek advice from your local Council, State or Commonwealth Government health department or a qualified expert such as an Industry Hygienist. 15. DISCLAIMER OF LIABILITY: No liability shall be accepted on account of failure of the Report to notify any Termite activity and/or damage present at or prior to the date of the Report in any areas(s) or section(s) of the subject property physically inaccessible for inspection, or to which access for Inspection is denied by or to the Licensed Inspector (including but not limited to any area(s) or section(s) so specified by the Report). 16. DISCLAIMER OF LIABILITY TO THIRD PARTIES: This Report is made solely for the use and benefit of the Client named on the front of this report. No liability or responsibility whatsoever, in contract or tort, is accepted to any third party who may rely on the Report wholly or in part. Any third party acting or relying on this Report, in whole or in part, does so at their own risk. 17. COMPLAINTS PROCEDURE: In the event of any dispute or claim arising out of, or relating to theInspection or the Report, or any alleged negligent act or omission on Our part or on the part of the individual conducting the Inspection, either party may give written Notice of the dispute or claim to the other party. If the dispute is not resolved within fourteen (14) days from the service of the written Notice then either party may refer the dispute or claim to a mediator nominated by us. The Cost shall be met equally by both parties or as agreed as part of the mediated settlement. Should the dispute or claim not be resolved by mediation then one or other of the parties may refer the dispute or claim to the Institute of Arbitrators and mediators of Australia who will appoint an Arbitrator who will resolve the dispute by arbitration. The Arbitrator will also determine what costs each of the parties are to pay. 18. AREAS TO BE INSPECTED – Only areas to which reasonable access is available were inspected. The Australian Standard 4349.3 defines reasonable access as areas where safe, unobstructed access is provided and the minimum clearances as included in list below (a) to (f) or, where these clearances are not available, areas within the consultants unobstructed line of sight and within arms length. Reasonable access does not include removing screws and bolts to access covers. Reasonable access does not include the use of destructive or invasive inspection methods. Nor does reasonable access include cutting or making access traps, or moving heavy furniture or stored goods. (b) The roof space with access hole no less than 450mm x 400mm. a crawl space no less than 600mm x 600mm. (d) The sub-floor space (access permitting) access hole no less than 500mm x 400mm with Vertical clearance to timber floor of minimum 400mm or concrete floor minimum 500mm. (e) The property within 50m of the building but within the property boundaries. (f) Accessible height from 2.1m step ladder or 3.6m ladder placed against a wall. 20. No inspection has been made for the presence of or absence of mould. If during the course of the inspection mould is noticed it may be noted in the report. If you are concerned about the potential health risks, which can arise from mould you should seek advice from a relevant independent expert. 21. Please note our reports do not give or imply any warranty or guarantee and are merely an opinion of the inspected property. 22. A BWB Building Inspector carries out all Inspections. The information given in this document is based on the BWB’s Building experience and its knowledge of the current Australian Building Standards and Codes. However BWB does not purport to cover all provisions of any Building Acts, Codes, Regulations or By-laws. 23. The report remains the property of BWB until paid for in full.